Separating the thoughts and dividing them in several doors is, sometimes, the best way to tell a story. After that, one may be able to tell it driven by a coherent line of thought, like a road movie with several happenings during the trip. And if something special happens in the gas station, like bumping into a funny awkward character, the idea behind the inspiration of that particular episode is partly what the film is all about. Madeira, the game, is the movie we directed following a structure given by the epic historical script. Hopefully you'll find it interesting. It should help you understand why the characters on the game are like they are and why are you supposed to do what you actually do. "The ancient settlers of Madeira believed that the formation of the island was the work of Neptune, the roman god of the sea who, with his hands may have taken a fistful of lava and a whirlpool of salt and moulded them into a magnificent rock." The Island of Madeira was discovered. Literally. I mean, when sometimes people say that something was discovered, that's actually not truth as natives already lived there for a long time but, Madeira, really was empty! And that is amazing if you're planning a board game. Think about it. Empty island to populate and start from scratch. Plus, it also served as the opening scene of the Portuguese Empire as its localization and later, status quo, determined loads of episodes for the Crown. When the Island first was populated it was given to 3 Captains, each one of them with one region to administrate. That's why Madeira has 3 regions where to play: Porto Santo, Machico and Funchal. The king asked each one of these captains to populate the island, develop the cities and improve the economy. If they did good, then more favors of the king were granted, like money, lands, noble titles and also public recognition. The king actually asked for all of these things and we may find them all in the king's requests, which give you the most of the victory points during the game. After the first colonists arrived in the island, D. Henrique, the "Navegador" introduced sugar cane in the fields in order to make profit. At some point in its history, Madeira started to remove wheat fields from the plantations and plant sugar cane only, as it was the main economy source of the locals, specially merchants and nobles. It was a very very prosperous time for the islanders, with loads of money. Sugar gave people the money as the profits are really huge and the island was excellent for the crop. That's why players get more money in Madeira if you deal with sugar, more than with any other thing in the game. This rush for the money made all the wheat disappear from the island and people didn't even have enough to eat. They starved for money! 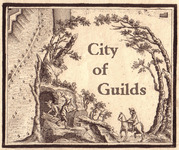 During the game, players will find a change in its course, removing fields of wheat and planting sugar fields. After reaching Brasil, Portuguese seafarers started to produce sugar there. Also in Africa. Starting in that moment, these two other territories competed both with the sugar produced in Madeira, resulting in a shorter profit for the islanders. 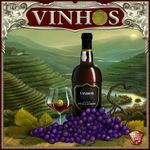 People from there had to change their core business in order to survive and that's when the wine of Madeira appeared as a solution. That's when players can see the sugar fields turned into wine on the board. Wine is one of the first things ever produced when christians populate something because it serves the cult of the church. Also, the wine was part of each ship crossing the oceans searching for new lands for the Portuguese crown. During the game, if a player wants to set sail and go on discoveries sponsored by the king, he must take some wine too. But then he also is rewarded by the king for participating in such adventure! Madeira wine is actually the happy result of one of the trips to the tropics. The wine was so much better when returning home than when leaving for the discovery. Why? Because the heat from the tropics improved the wine which is still something done today to produce Madeira wine. They place the wine in 'Estufas' simulating the tropic heat. Why should we have a feeding phase? Well, in fact, what happened in Madeira was that with the previously explained above, turning wheat into sugar because of the profits, increased starvation. The lack of wheat was indeed a problem and the island had to import some wheat in order to survive. But many didn't. Madeira, the game, needed to have a feeding phase because it is a very important part of its history. Many important families started to flourish in the island because of its richness and wealth. Cities got bigger and bigger and even some famous characters like Christopher Columbus lived in Madeira. 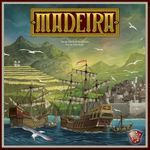 Players may contribute to the development of all of the 3 cities thus getting favors from some of these important families which, at some point of Madeira's history, dressed the island with power. If you're able to capture the influence of these families your life gets easier. Pirates and Corsairs, to be more precise, were pretty important in Madeira's history and so they are in Madeira's board story, too. Corsairs were hired by many european nations in order to loot the islands. More than a dozen massive attacks destroyed large portions of lands and also killed lots of people. In the game, players get pirates when they do 'something wrong'. That's our way of saying you shouldn't have done that! To populate the island many prisoners and criminals came from the mainland Portugal. They were not very sociable or nice. If something goes wrong they respond to that. They become pirates. And you may want to contribute the most to catch the bad guys and put them in 'prison'. This would, for sure, grant you the good will of the king. Madeira means wood. Wood is a bit more than just relevant in the game because it was also more than only relevant in the island. And players should feel the pressure of getting the wood and the importance of being able to colect wood. Deforest the island, build ships or enlarge each one of the cities, all are ways to make the king happy. And also are ways to get money and wealth! The constrains of not being able to get wood is something each player must be determined to avoid when playing Madeira. Because wood is the middle (first and last) name of the game!